Open Ends are used to control or manipulate light falling on certain areas of the set or subject. 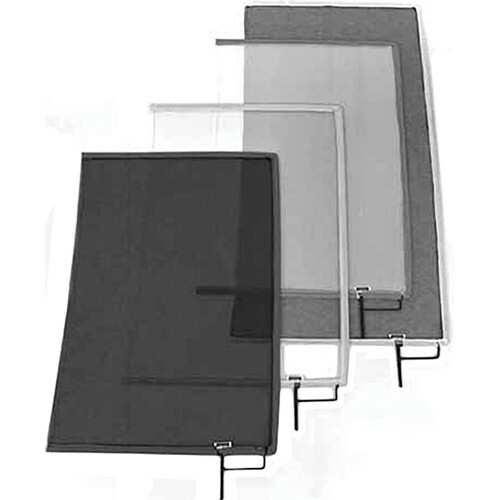 They can be used to soften or reduce light without a noticeable edge. A color coded binding is used around the frame to identify the fabric. Open End Frames are black powder coated to minimize unwanted reflections. Primary Use Softens and diffuses direct light, without introducing ambient bounce. Box Dimensions (LxWxH) 23.0 x 11.5 x 0.1"